When it comes to real estate, SPRING has SPRUNG! When we meet with sellers in the cold months of winter it is common to hear "We want to sell but we want to wait until the Spring market." The thought process is understandable. There are typically more buyers in the Spring market, but the flip side of the coin is that there are also more sellers. Real Estate also stubbornly refuses to follow a traditional calendar. The most important thing to know for a seller is when should I sell my house. And the answer can be found in the numbers. The best time to sell is always when there is low inventory compared to the number of active buyers in the market. And the numbers tell us that Spring is here now and in a very strong way! If we start with the average price of a home sold in January of 2018 in Oxford County the number is $369,607.26. Nothing wrong with that number at all, but when we look back to January of 2017, we see that same number was $326,821.01. That's an increase of over $40,000 in just 12 months. The next question is why? And the numbers give us the answer once again! There were only 68 home sales in Oxford County in January 2018 compared to 109 in January 2017. This was because of constrained inventory with a great stream of active buyers. The simple laws of supply & demand come into play. When many buyers want to purchase an item that is in short supply, prices rise. There were 94 new listings in Oxford County this past January. When you look at the number of homes sold in the same period, the picture is completely clear! So the Spring market has arrived very early this year! If you are thinking of selling your home this year, the timing could not be better than right now. None of us has a crystal ball, but Spring (the calendar one!) normally sees an influx of listings. We have recently seen the return of buyers from the east in force and they are ready to buy homes in our area. We are also starting to see the return of offer days and multiple offers on properties again that we haven't been seeing much of for several months. If you would like to know more on how the current state of the market can be leveraged into getting you top dollar for your home, please contact any member of The Sherman Group. We look forward to answering all of your questions and helping in any way we can! The Reality of "Sold Over Asking". There are so many stories of homes that have sold for 70, 80, 90, even 100,000 dollars over the asking price. It makes the current market confusing for both buyers and sellers. And a lot of it is smoke and mirrors. Don't get me wrong, it is a strong seller's market in Oxford County, with many sellers hitting home runs when it comes to offer day! But many times, the stories being told, although true, are missing critical information. This is where "Sold Over Asking" needs to be addressed. We should be talking about "Sold Over True Value". In the current market, the list price can be almost irrelevant. Realtors are listing homes with a soft list price. If we think the home is worth, $500,000, we might list the home at $480,000. This exposes the home to as many buyers as possible. When offer day comes, buyers will offer as much as they think the home is worth. If we received 5 offers in this scenario, and a couple of offers are over the $500,000, and they probably will be, everyone is happy! If we receive an offer of $510,000, we just sold the home for $30,000 over asking price, but the home sold for $10,000 over VALUE! And that is the critical missing piece of information. If the same property were to be listed at $430,000, it would sell for $80,000 over the asking price, but still only $10,000 over VALUE! Nothing has changed except the list price. Oh, and one more thing, the story has changed. The Realtor has a great story to tell, and the seller could not be happier! Soft pricing is good for the seller, but listings a home with an overly soft price can poison the minds of buyers and sellers. I have heard of sellers turning down fantastic offers for their homes because they didn't get $60,000 over their asking price. And it is because of these stories. The truth is, their home was listed with a proper list price. The offers they received were great offers. But these offers were turned down, the school of buyers moved on, and their home sat for a week. And the next offers were lower than the original offers received. All because of the "Over Asking" stories they had heard. 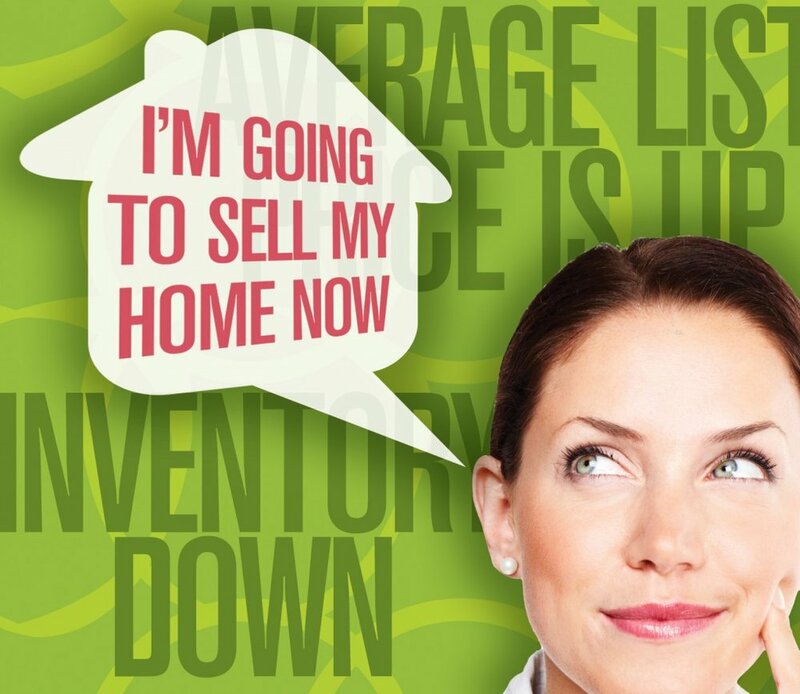 For buyers, it is even harder! What do you offer on a home when you don't know what it is really worth? Do you go over asking by $20,000 or $100,000. Most buyers need to be looking at homes that are listed $40-50,000 less than what they actually are approved for so they have room to offer over asking. If the soft prices were all closer to reality this would be an easier market for them to deal with. Not all Realtors are listing severely under market value, but it is difficult for buyers to know when they are and what is happening from one listing to the next. It is frustrating and confusing! A great local Realtor can help with this. We are in the market every day with buyers and sellers and we can help weed through the myths and legends! It is hard for us to even show good comparables right now due to the vast swings, property to property, between list and sale price. But we can help you understand VALUE! Again, some homeowners are truly hitting home runs on offer day. And usually it is an offer from an out-of-town buyer that is being represented by someone that does not truly understand the market. If you are a buyer, you need someone to lead you away from these situations and help you understand what homes are truly worth. UPDATE: It was recently brought to our attention that lenders have received a grace period on this change. They now must have this implemented by the end of November. Most lenders are choosing to do so, and this is a great opportunity for buyers with less than a 20% deposit. If this effects you as a buyer, you need to have your mortgage application in to your lender before the changeover if you want to be approved under the old system. Your house does not have to be sold by the end of November, you just need to have your application submitted. This will substantially effect the amount you can borrow. If you have any questions, Tracey and I would be happy to answer them. Please feel free to contact either of us. This is good news, even if it only has a small window, for many buyers. Please don't miss this opportunity! New mortgage rules came into effect on October 17th and many buyers are wondering how exactly this effects them. These changes effect anyone buying a home with less than a 20% downpayment. Before the change, you only needed to qualify at your lenders posted rate, around 2.39%. In an effort to slow a hot market in a few key cities, as well as insure that buyers will still be able to afford their house payment in the case of a future interest rate hike, these buyers must now qualify at the higher Bank of Canada benchmark rate, around 4.64%. The average home price in Woodstock is around $280,000, so we will use that as a benchmark. If you were applying for a 25 year mortgage, paid monthly with a 5 year amortization, and you had saved a 5% downpayment of $14,000, your payment would be $1,239.02 at 2.39%. That is what your would be paying monthly, but under the new rules you need to qualify at the higher rate of 4.64%. And that same mortgage at 4.64% has a monthly payment of $1,571.59. That is a difference of $332.57 you must qualify for to be approved for the $280,000 mortgage, even though you will only be paying $1,239.02 per month. If, under the old system, $280,000 had been the most the bank could approve you for, your new approval would be around $221,000. That is a difference of $59,000. Genworth, one of two companies that supply mortgage insurance in Canada, has estimated that this will leave 1/3 of new home buyers unable to purchase a home under the new rules. Fortunately, Oxford County is located in an area where great homes can still be purchased in an affordable budget. Areas like Toronto and Vancouver will be taking the brunt of the loss of first time buyers. Tracey and I would be happy to sit down and explain this to anyone with questions, or would like to see what options are available in today's home market. As always, the first best step in buying a home is to get a pre-approval from your lender. If you aren't sure who to see, we would be happy to recommend someone we know will do a great job for you! Just wanted to take a few minutes to talk about the Century 21 Golden Gala. This fantastic event is held annually in the Oxford Auditorium at the Fairgrounds in Woodstock. If you have never been, this is an event you really should try. It is such a great time as well as a reason to get dressed up and have fun while raising money for three great charities, The Alzheimer's Society of Oxford, the MS Society of Oxford, and the Easter Seals of Ontario (Oxford Chapter). The food is always top notch and the band always has the dance floor full as soon as they hit the stage. You might even be lucky enough to watch me bust a move! The Gala has the reputation of being a stuffy event, but trust me, nothing could be further from the truth. Tracey served on the Gala committee for many years, and one of the hardest parts of this event is finding sponsors. If you own a local business, the committee is always on the look out for a great new sponsor, or an old one returning to the fold. Anything from Platinum Sponsor status to contributing an item for the great auction tables. It's a great way to help the community while bringing attention to your business. If you would be interested in contributing, contact us and we will make sure you are put in touch with the right people. If I have piqued your interest, let us know! We love putting a table together and would love to have you with us this year. It's a great event, it's a great cause, and it is so much fun. The Sherman Group is striving for new ways to better represent our clients and ourselves. We have recently purchased the exclusive rights to the new digital billboard on Norwich Avenue in Woodstock. This high visibility billboard will allow us to promote our listings in a brand new way and to so many drivers and pedestrians every day. We are so excited to see this board in action and you will be seeing our very large faces there in the next few days. The digital aspect of this billboard also gives us the ability to change the artwork on a regular basis and keep the attention squarely on your listing, without the sign becoming stale to passers by. We also know that to stay current in the Real Estate market of today, visibility on the internet is of the utmost importance. We have routinely been making use of Facebook, Kijiji and Twitter. Today we add a brand new, custom website to the mix. We want to be able to showcase our listings and have a clean and attractive way of interacting with all our clients, buyers and sellers. We are so excited about this new website, and thanks for stopping by and taking a look. Please let us know what you think!